The majority of TOJ members are located in Central and Northeastern Connecticut. As volunteers, our members choose where to visit based on their interests. Click here for contact information to request a visit from a TOJ team. Registration with a nationally recognized animal therapy organization is a requirement for those people who would like to become a member of Tails of Joy. There are numerous opportunities throughout area communities for registered teams. Evaluations for the Pet Partner® and Intermountain Therapy Animal team registration are offered several times a year. Tails of Joy members provide support to each other and to individuals who are interested in getting involved with their pet through meetings and a monthly newsletter, opportunities to share ideas and visit requests, participate in a mentoring program for new therapy teams, educational programs, and training classes for handlers and dogs to help them prepare for registration with a nationally recognized animal therapy organization. Our member teams visit with people in hospitals, nursing homes and other facilities. 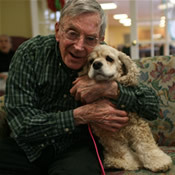 Handlers with additional volunteer training participate in hospice programs providing end-of-life comfort, while others visit in schools and children's facilities, participating in reading and educational programs. 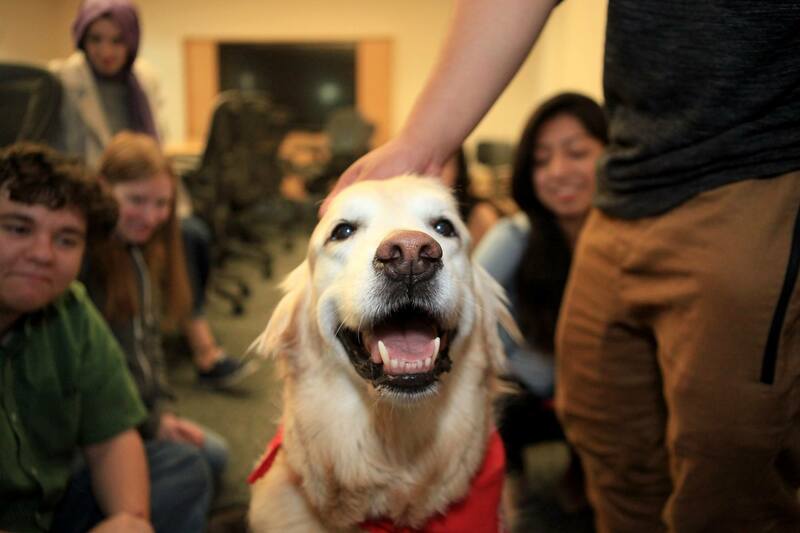 While visiting is done as a team, the pet is the star of the show. 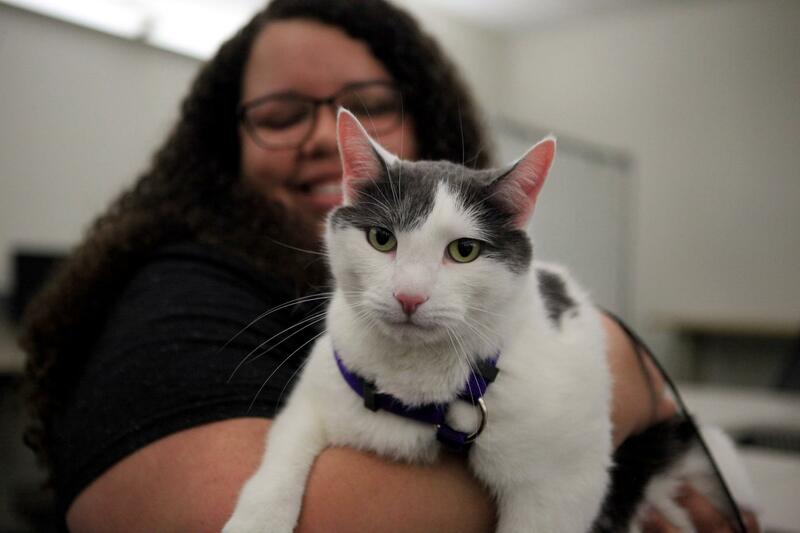 TOJ welcomes members who are registered with a nationally recognized animal therapy organization and those who are in training to become registered teams. 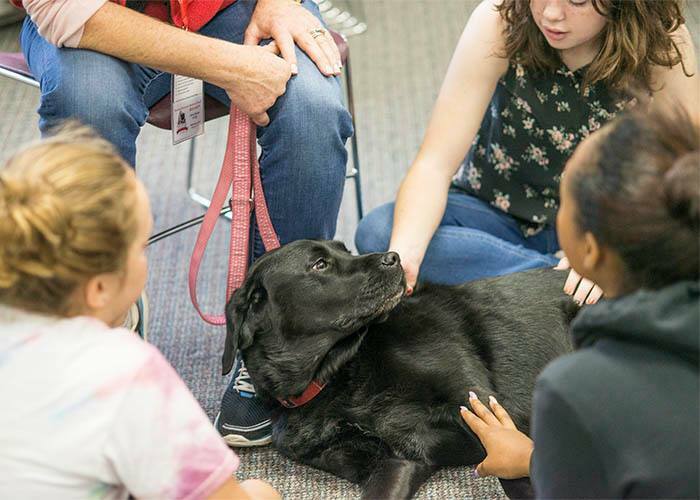 We encourage you to attend Tails of Joy meetings, which are an opportunity to talk with registered therapy team handlers and to ask questions. are forming now - learn more about getting involved with Animal Assisted Activities & Animal Assisted Therapy with your dog. Classes offered in Farmington and Manchester.